One huge benefit of having fruit trees (besides the yummy fruit it yields) is getting to make jam! This season, our plum tree has been producing more fruit than we can keep up with, even with giving bucketfuls away to family. Yesterday, I realized the plums I picked last week were still in the fridge and had gotten quite ripe, so, I thought to myself, why not make some jam? I had never made jam before but didn’t think it would be terribly difficult. 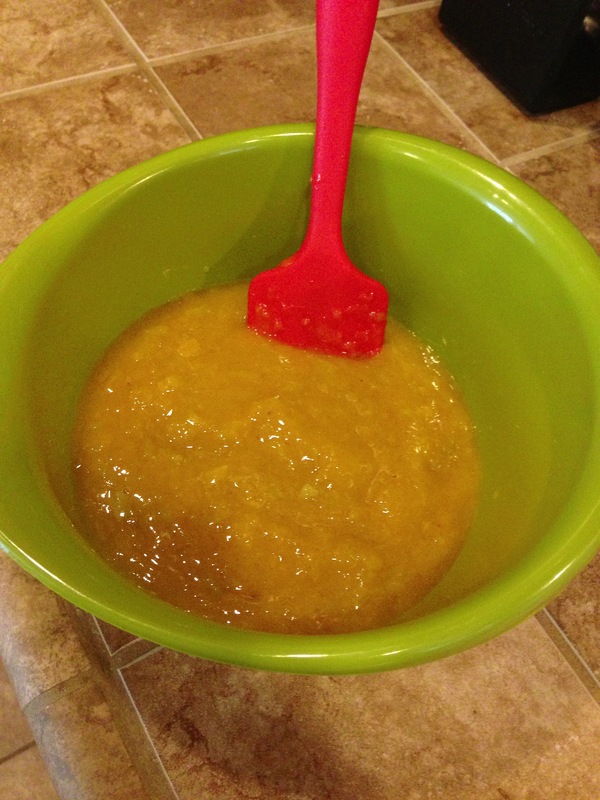 Thanks to Google, I was able to find this recipe that is SCD legal since it uses honey, instead of sugar, to sweeten the jam. 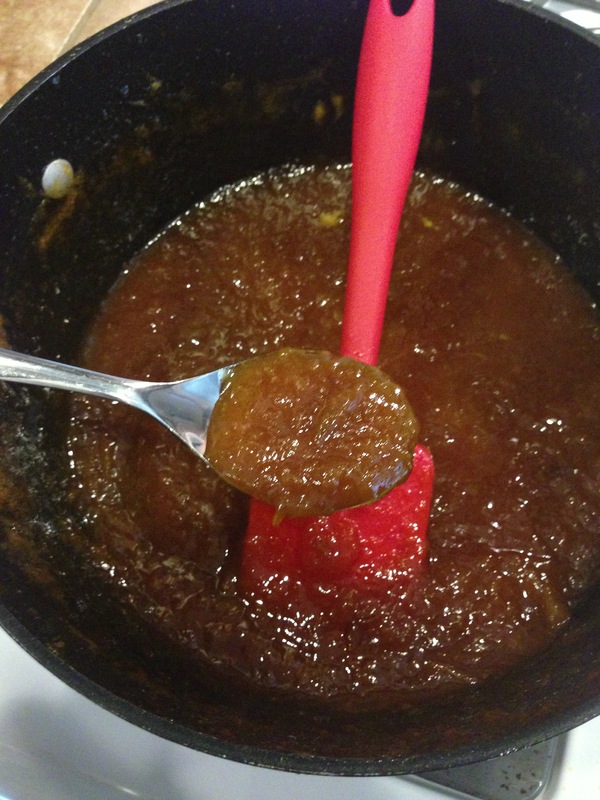 I didn’t have pectin, which I found out is a naturally-occurring thickening agent used in jams but luckily, my jam set perfectly without it. 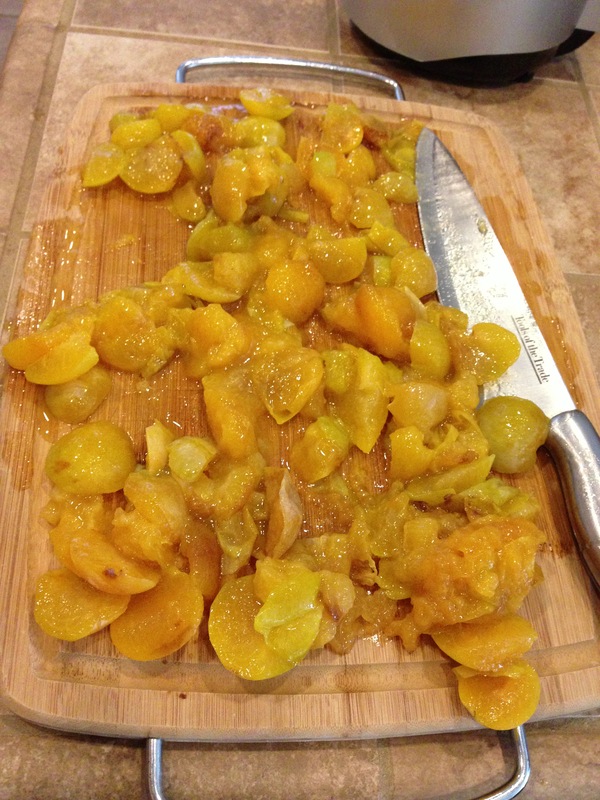 I also didn’t have cardamom on hand nor did I add water, since my plums were already very ripe and mushy after I chopped them. 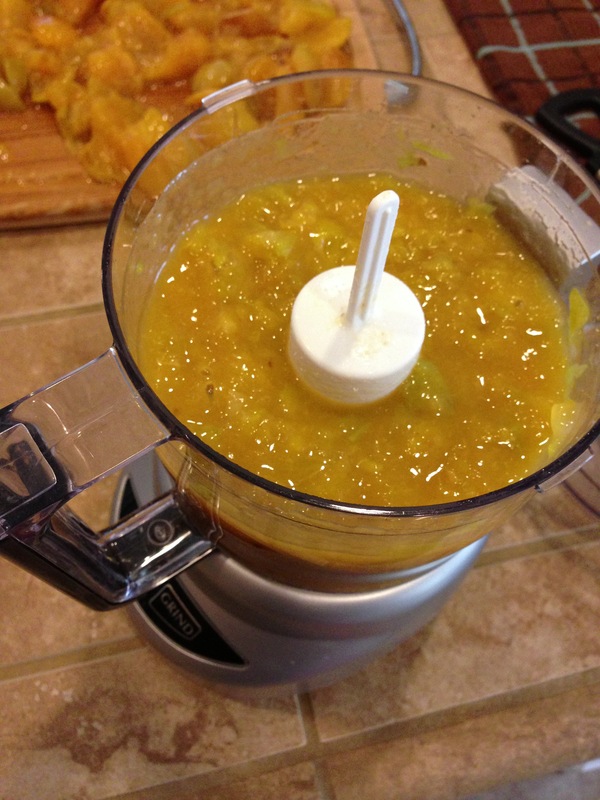 Also, in case you’re wondering why my plum jam looks more like apricot jam, it’s because our plum tree at home grows three different types of plums — green, orange, and purple, and I used the orange variety. I just thought I’d mention that, since a friend of mine asked me about that today and I can now see why she was puzzled about it. Get your freshly washed plums and pit them. I do this by cutting around the corners and taking the pits out. 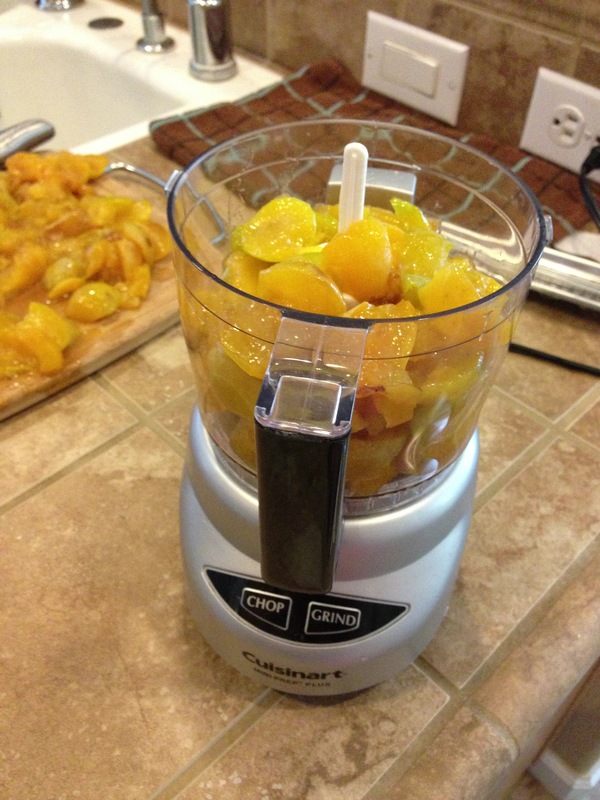 Afterward, you can either chop the plums by hand or do what I did and put them in the food processor. I found that the latter was much more efficient. Now, get a large, deep pot. If I could do it all over again, I would have not used the small pot I had because it made the jam-making process so annoying. The jam kept splattering on my face and arms, burning me. Also, by the time I was done making the jam, the entire stovetop, microwave, counter space, and ground was sticky with jam. I also had to wear a robe and two oven mitts (the oven mitts met their demise last night, as they were completely covered with jam by the time I was done!) to prevent further burning. I bet if anyone were watching me, it would have been a hilarious sight! So, again, I repeat: get the deepest pot you have and set it aside! 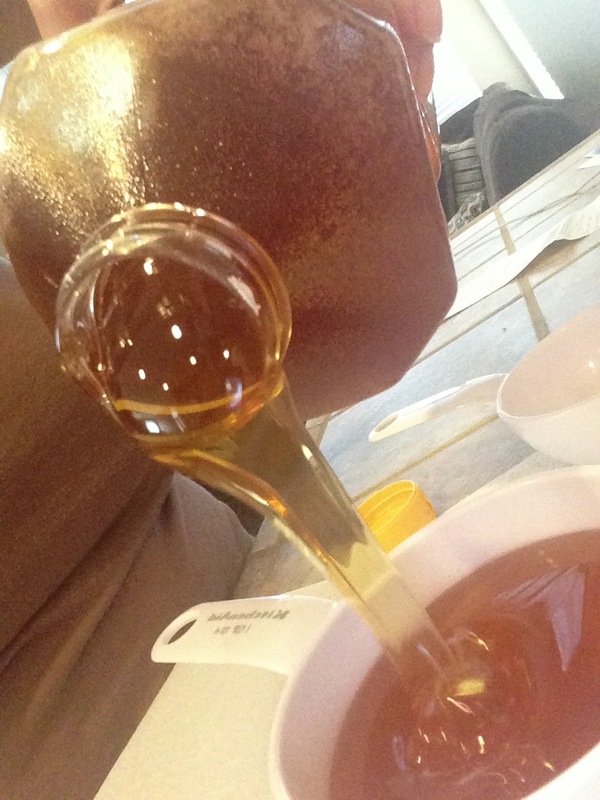 After you have your pot, measure out your honey, set your stove on a little less than medium low heat, and pour the honey inside. 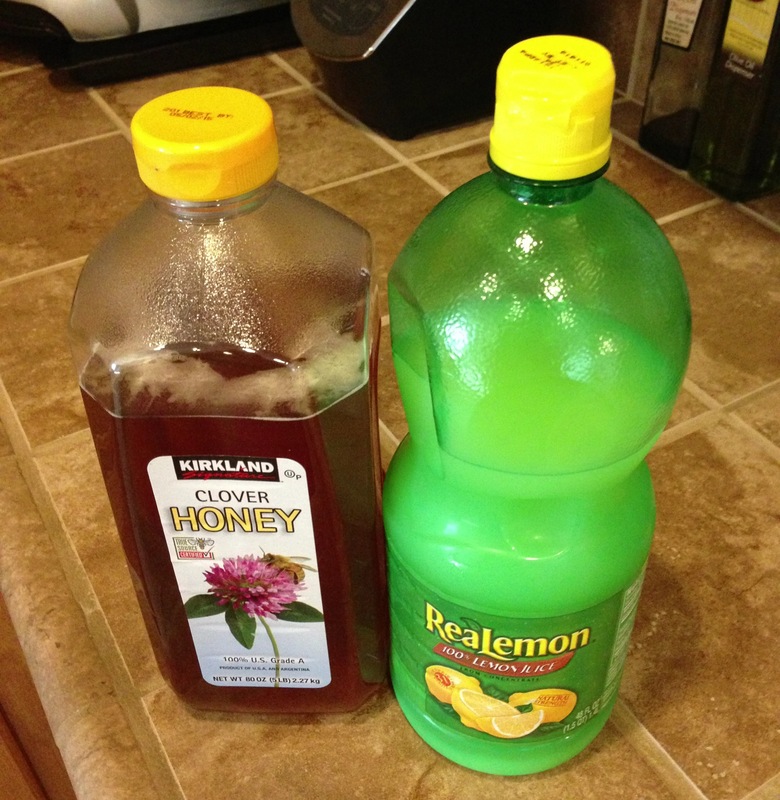 Give it a minute or two for the honey to warm up. Next, stir in your plums. 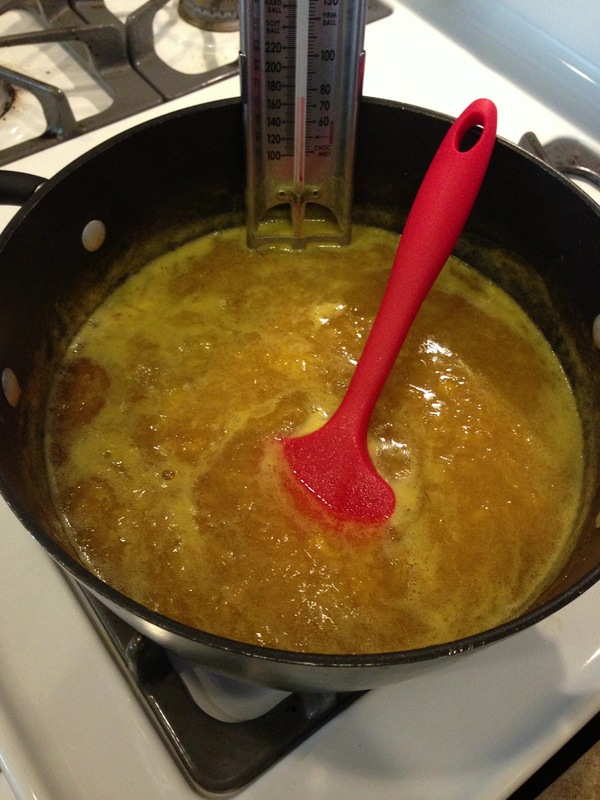 Keep stirring, so that the honey doesn’t burn, until everything comes to a boil (this takes a bit of time.) 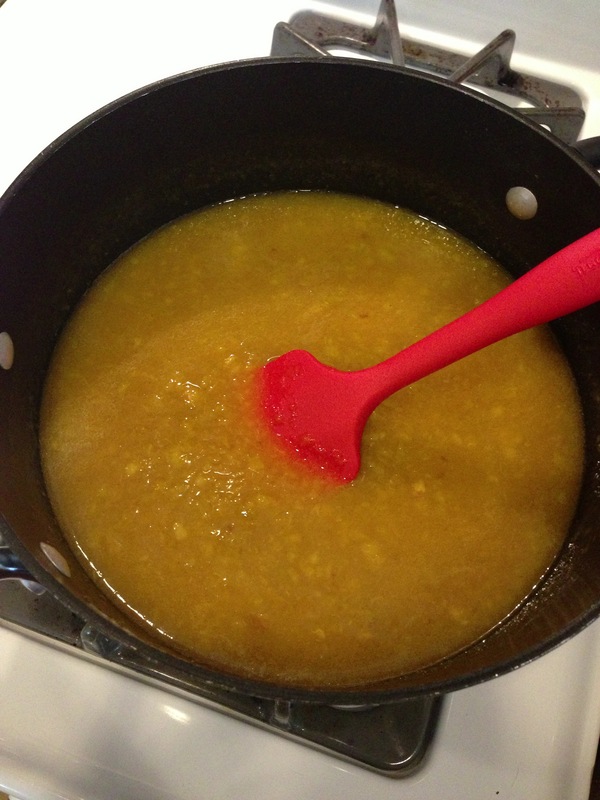 Afterward, add in your lemon juice and orange juice. 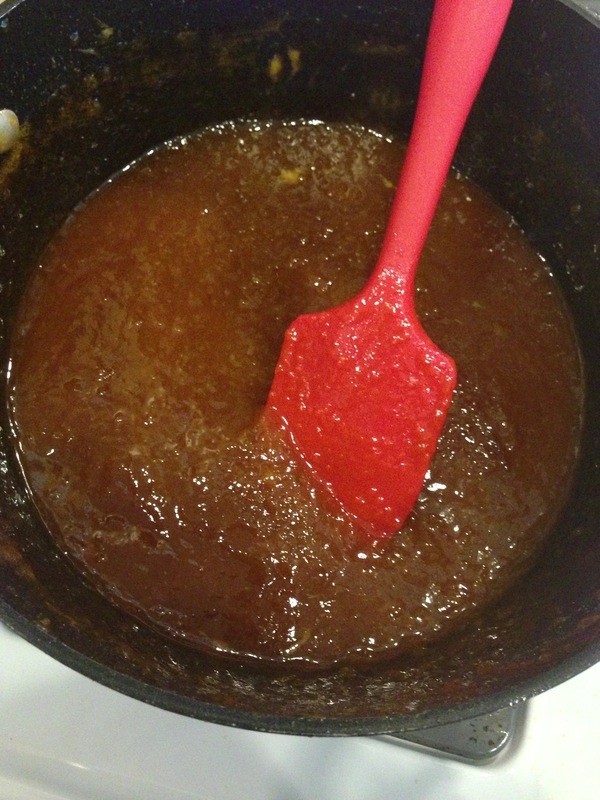 Now, here’s the fun part: keep stirring until the mixture thickens and turns into jam. You’ll notice that white foam will appear on top throughout the process; don’t worry, that’s normal, just keep keep stirring and mixing the jam. I read that if you want to use a candy thermometer to better gauge when your jam is ready, that the thermometer should read 220 degrees, since that’s the ideal setting point. However, my jam ended up setting at about 180-200 degrees. You’ll know it’s ready once the mixture thickens. For me, it took about an hour and a half, on low to almost medium low heat, for my jam to harden. When it hardens, you should be able to scoop it up like this and not have it be watery. Alas, time for pictures of the finished product. Ladies and gentleman, I give you homemade jam! 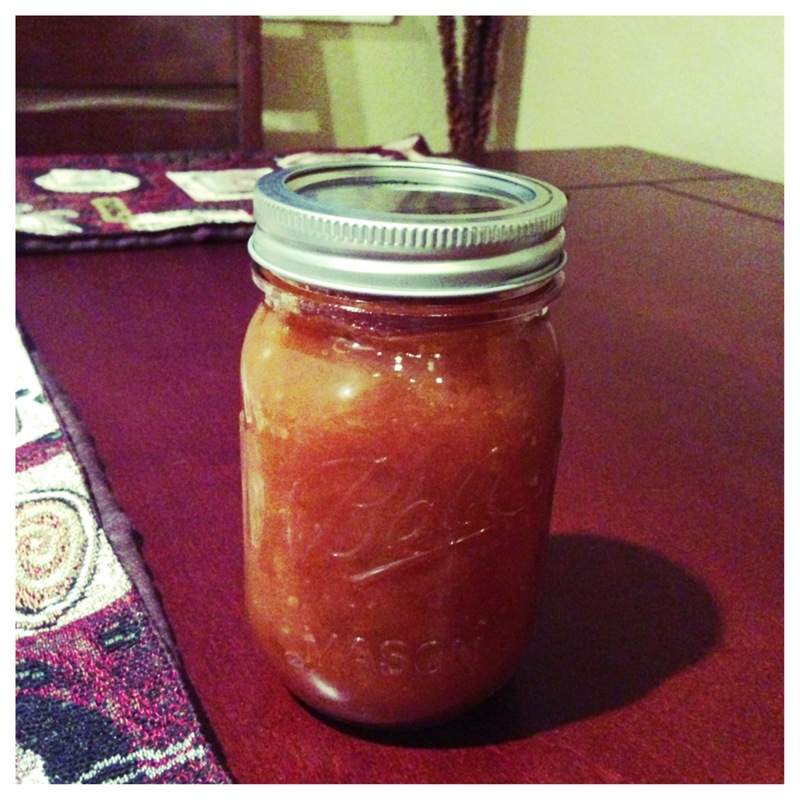 After making this jam, I was then compelled to go to Target and buy some cute Mason jars! The jam itself is absolutely delicious! I LOVE plums, so having plum jam is like icing on the cake for me. Although it can be a little time consuming, homemade jam is not hard to make and is totally worth the time it takes to make. It feels so much better eating something that has only 4 simple ingredients, as opposed to a whole laundry list of ingredients that are made up of chemicals and can’t be pronounced. 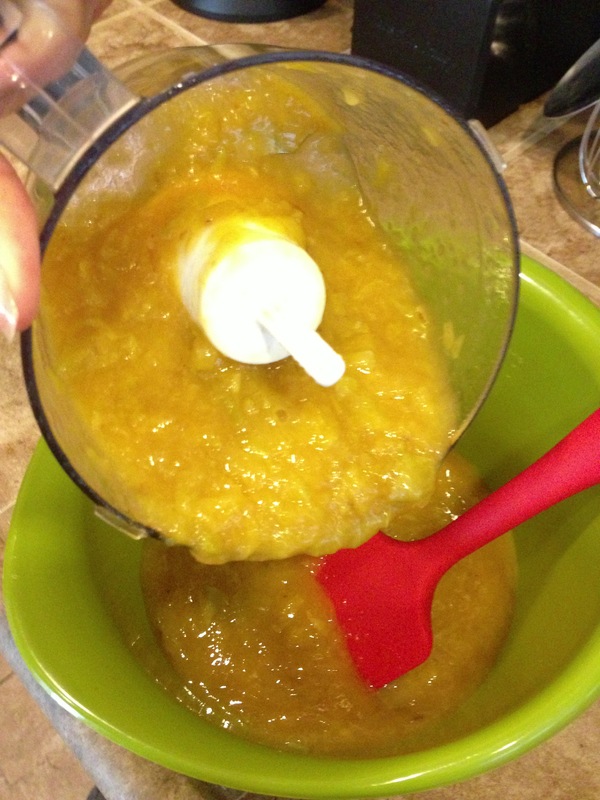 I’m glad you didn’t put pectin in your jam. It ruins the taste. 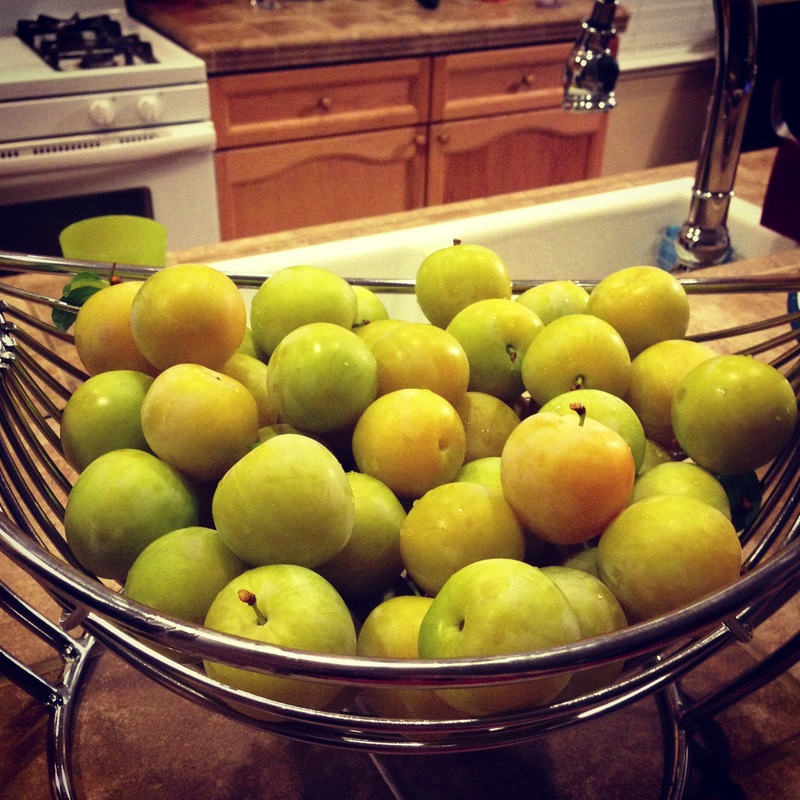 I’m so envy that your have your own plum tree in the back yard. I have to buy mine from the market. Another good trick for the next time, use a big wide bottom pot that your fruits would cover the bottom no more than three inches high and leave the rest for the foam and splash. If you have splash guard, use it because you don’t need to “stir all the time”. You need to use higher heat though (I use mine high or medium high). Set the heat so the content is bubbling boil. This way your jam would be cooked with in 30 minutes or less. The flavor of the fruits are all preserved too. 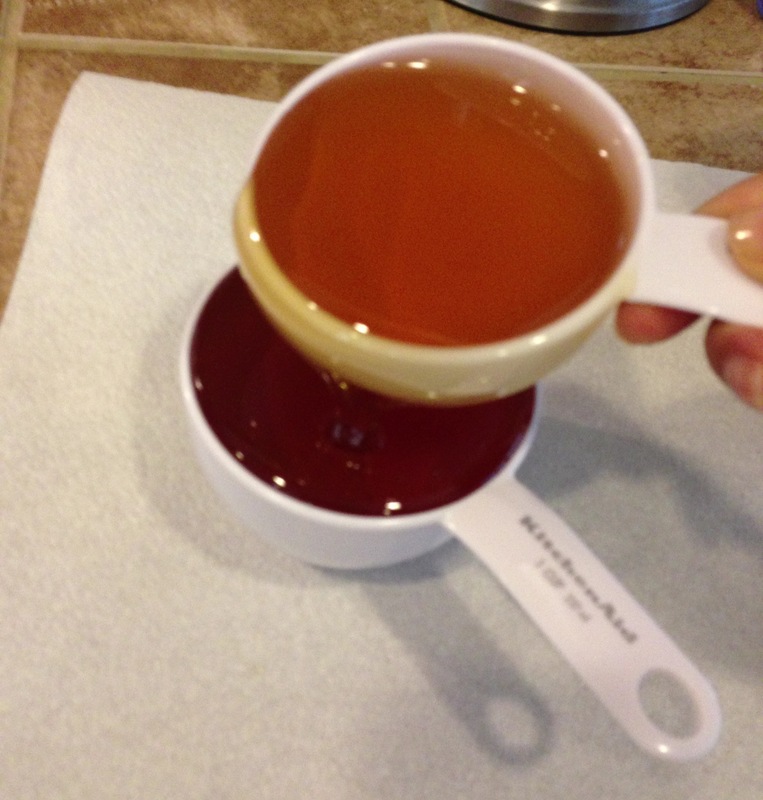 My last blog was about jam making (less sugar, no pectin) and no messy water bath sterile (I bake the can). 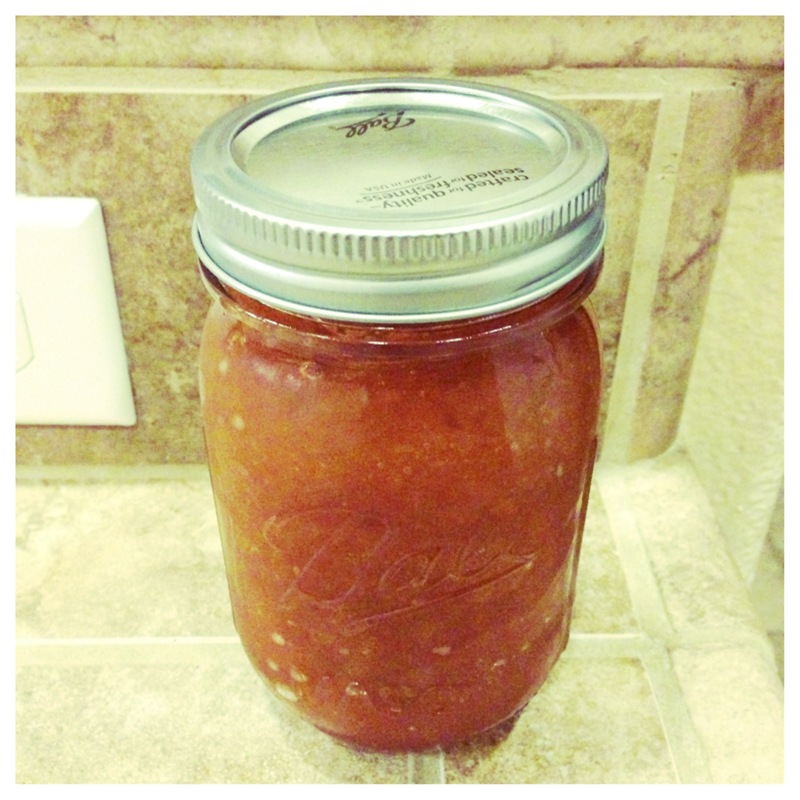 If you are interested in making more jam with your good looking plums. 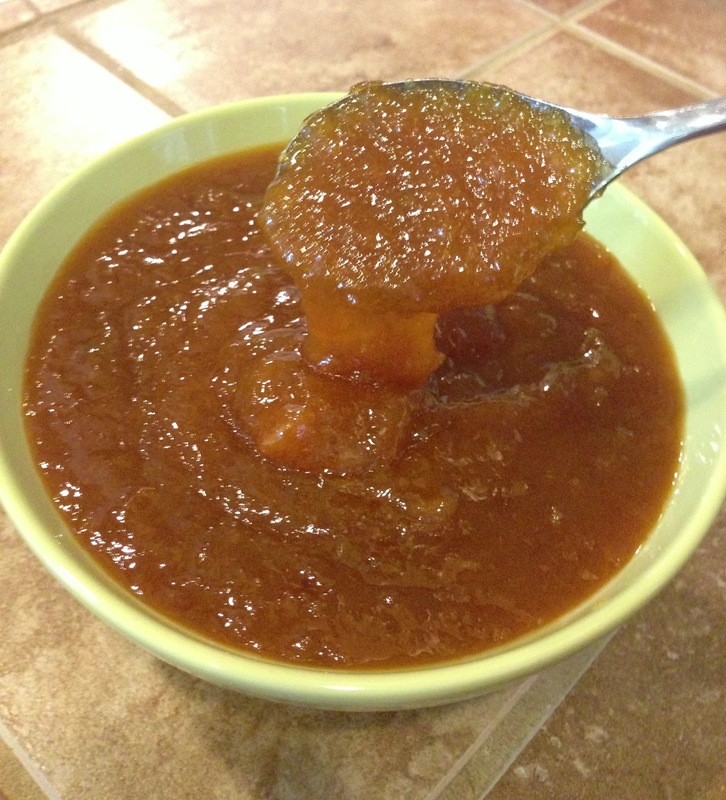 I’m glad I didn’t use pectin, either, because besides you saying it ruins the taste, I just found out it’s not SCD legal. It is nice having fruit trees but I hate the maintenance! I always end up forgetting to water our plants but luckily, my husband salvages them. Have you ever thought about planting your own plum tree? We planted ours last year and it’s giving us fruit like crazy this season, unlike our orange and grapefruit trees, which haven’t given us anything. Thanks so much for the trick! It was my first time making jam, so I wasn’t sure if higher heat would burn the honey; that explains why it took so long to set. I’ll need to look into splash guards because I’ve never heard of them. It sounds like having one would save me time from all the stirring I had to do. I will definitely check your blog out! Thank you so much for stopping by and for your comment! Actually, I was wrong; it’s been 2 years but still, the tree is doing very well for itself! It gives us more plums than we can come up with. I just Googled your question about salty soil and plum trees. It says plums should be grown in full sun on well-drained, acid soil to bring out the richest leaf color. Thank you for posting your recipe. 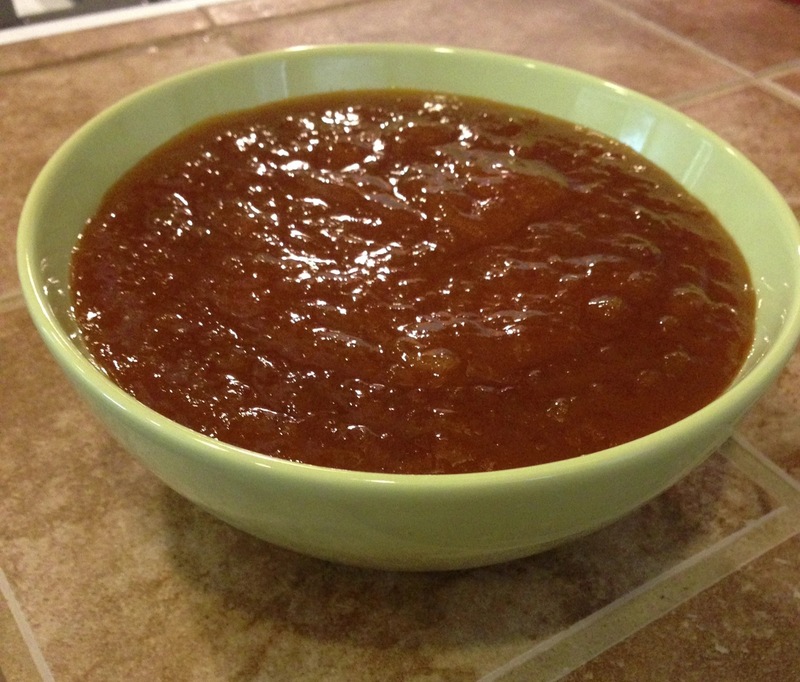 I have not made plum jam until today, and as I am only using honey and no pectin I thought I would try your recipe. It turned out perfect. My husband grew up on plum jam and the look on his face when he tasted this was perfect. Hi, Shannon! Thanks for stopping by and for leaving me a comment to let me know about your experience. I am SO glad that the jam turned out perfectly, and most importantly that that your husband loved it! 🙂 It’s always great when others try my recipes and they end up being a hit. I hope you have a wonderful New Year and make this jam for years to come! Hi, Joy! I’m so sorry for my late response; I have been on a little hiatus from here! This recipe filled up one full 16 oz. Mason jar, in addition to 1/2 of another 16 oz. Mason jar, so about 24 oz. Hi, Clare. Is it too watery? 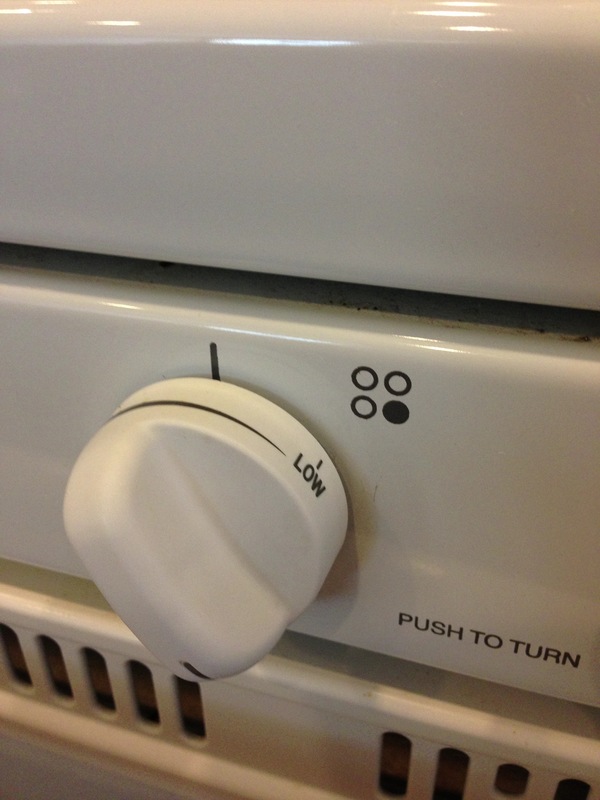 The key is setting the temperature on medium low heat until the jam simmers and eventually thickens. It can take an hour or longer for this to happen, so patience becomes a virtue. Are you using a candy thermometer? That is a really good gauge for letting you know how much longer you need to keep stirring the mixture until the jam sets. so how long do you waterbath if you are canning—12 min? I’m sure there is but I’m still a beginner. 🙂 This was my first time making jam. Hi Sara! I tried your jam recipe and loved it. I’m planning to link to your site on my blog icouldabeenamish.com. Thanks for the inspiration!